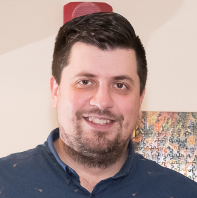 One of the challenges faced by workstation administrators, is to manage the local administrator account in large environment. 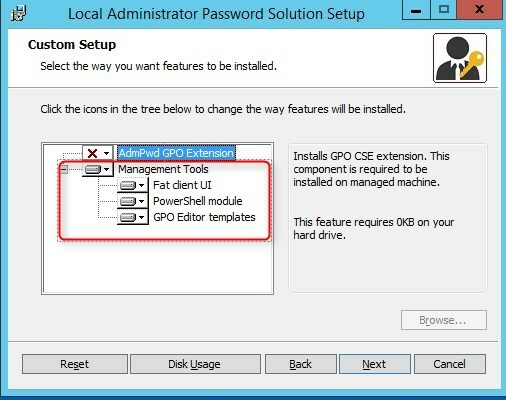 One of the options was to use Group Policy Preferences, but that was before KB2962486 removed the possibility to set password using Group Policy Preferences. 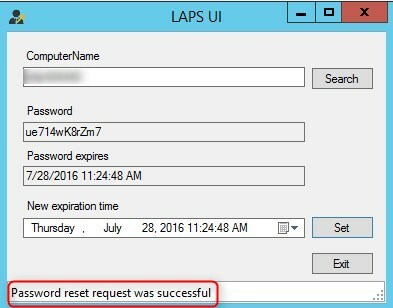 Since then, Microsoft as come up with a solution : Local Administrator Password Solution (LAPS). 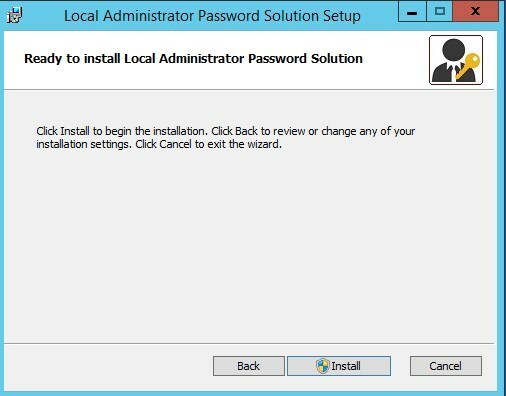 Only the local administrator account can be managed or a custom local account as administrator. 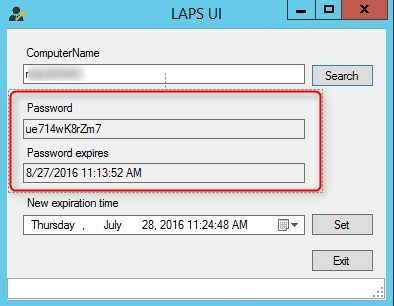 In this post, we will detail how to install Local Administrator Password Solution (LAPS) to manage the local administrator password on a Windows 10 computer. 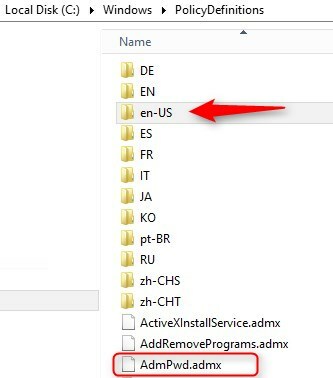 First step is to install the management tools for LAPS on a computer. Both attributes are added to the may-contain attribute set of the computer class. All of those needs are manageable on specific OU and child OU. This will be different for each organisation needs. For an easy setup, use the PowerShell commands from the module AdmPwd.ps as it will do exactly what we need. 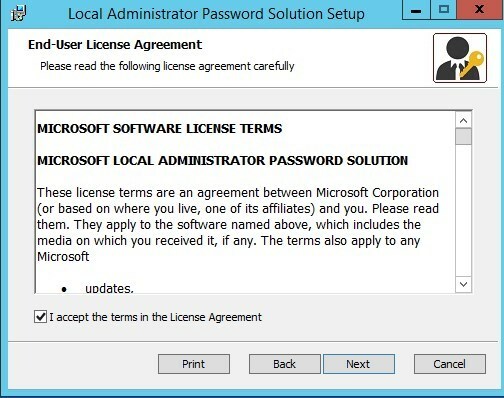 To allow users or groups to read the stored password of the managed local administrator account, the Control_access permission must be given to ms-Mcs-AdmPwd attribute. 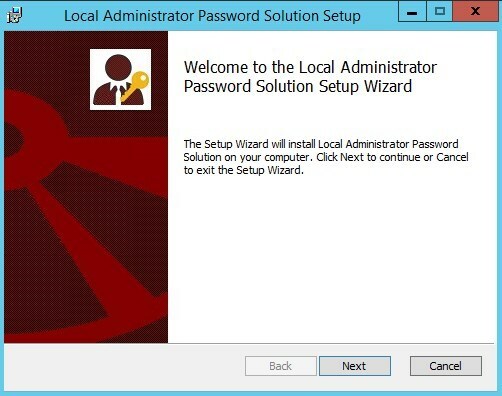 To allow users or groups to reset the password for a managed local administrator account, the write permission must be added on ms-Mcs-AdmPwdExpirationTime . LAPS is manageable by GPO using a new template. 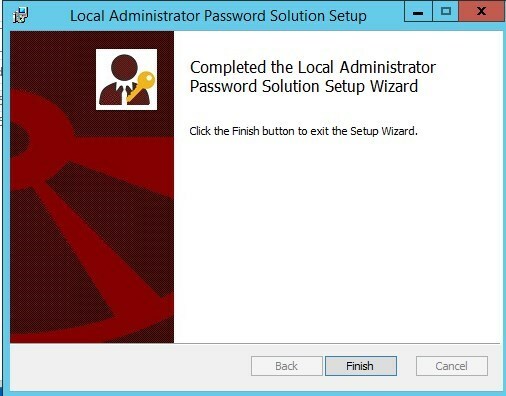 this must be enabled in order to manage the local administrator password. 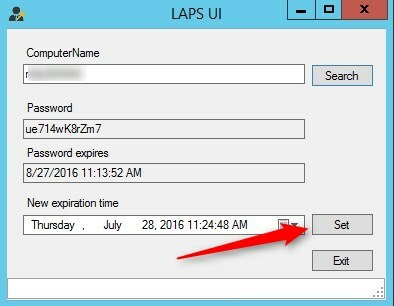 Thanks to Mike -S- for this awesome LAPS Extension for SCCM console and it works just fine with Current branch (tested with 1602 so far). Leave your LAPS experience in the comment section. Very good article, i have configured the way it is mentioned but still i m unable to generate the new password , though i can set password expiry date.